I CAN'T TELL YOU WHAT AN HONOR IT IS TO BE INVITED BY AMERICAN CINEMATHEQUE TO SCREEN TWO OF MY FAVORITE FILMS: THE STUNT MAN AND ED GEIN. I'M THRILLED TO SHARE THE STAGE WITH RICHARD RUSH; HE IS ONE OF THE MOST PROLIFIC DIRECTORS IN HOLLYWOOD. 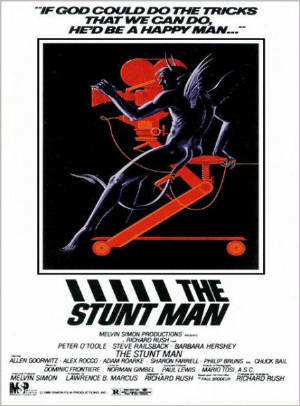 ONE OF THE GREATEST EXPERIENCES OF MY ACTING CAREER WAS CO-STARRING IN THE STUNT MAN WITH PETER O'TOOLE AND BARBARA HERSHEY. I COULDN'T WAIT TO GET TO THE SET DURING THE 5 MONTHS OF FILMING, BECAUSE I KNEW THAT SOMETHING EXCITING AND CREATIVE WAS GOING TO HAPPEN EVERY DAY. WORKING WITH RICHARD RUSH WAS ONE OF THE GREATEST HIGHLIGHTS OF MY CAREER. Note: This classic motion picture received rave reviews from Time, Newsweek and critics nationwide. It was nominated for 4 Academy Awards and was the first American motion picture to win "Best Film Award' at the Montreal Film Festival. 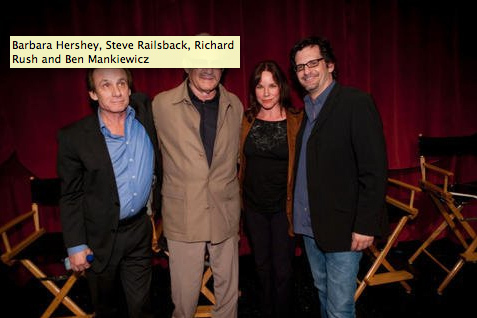 Railsback was nominated for Best Actor by "The Golden Globes" and won that honor at the Dallas Film Festival. PORTRAYING CHARLES MANSON IN HELTER SKELTER AND THE TITLE CHARACTER IN ED GEIN, WERE TWO OF THE MOST DIFFICULT AND REWARDING CHALLENGES OF MY CAREER. ED GEIN WAS THE TOTAL OPPOSITE OF MANSON; AN EXTREMELY PASSIVE MAN, WHO GREW UP IN WISCONSIN IN THE 1950's, AND SOUGHT HIS DECEASED MOTHER'S PERMISSION BEFORE HE COULD DO ANTHING. HE WAS ANTI-SOCIAL, A SCHIZOPHRENIC AND A MURDERER. 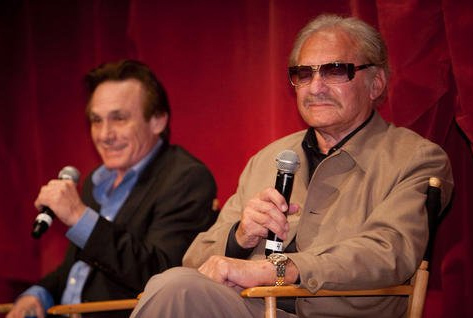 Note: This haunting motion picture, based on a true story, was produced by and starred Steve Railsback. Feature films PSYCHO and SILENCE OF THE LAMBS were based on Ed Gein's lost and tortured soul. Railsback won "Best Actor" for ED GEIN and the movie won "Best Feature Film" at the Sitges Film Festival in Spain in 2000. He was also awarded "Best Actor" at the Film Festival in Rome in 2001.